Notice:This flashlight use AG10 battery,but the battery does not include in order to save your money! Self Defense Tactical Pen EDC Tool W/ Steel Glass Breaker / Knife Blade LED Flashlight. 1.100% Brand New And High Quality! 6.The surface of penholder is anodized, to increase the pressure resistance of penholder. 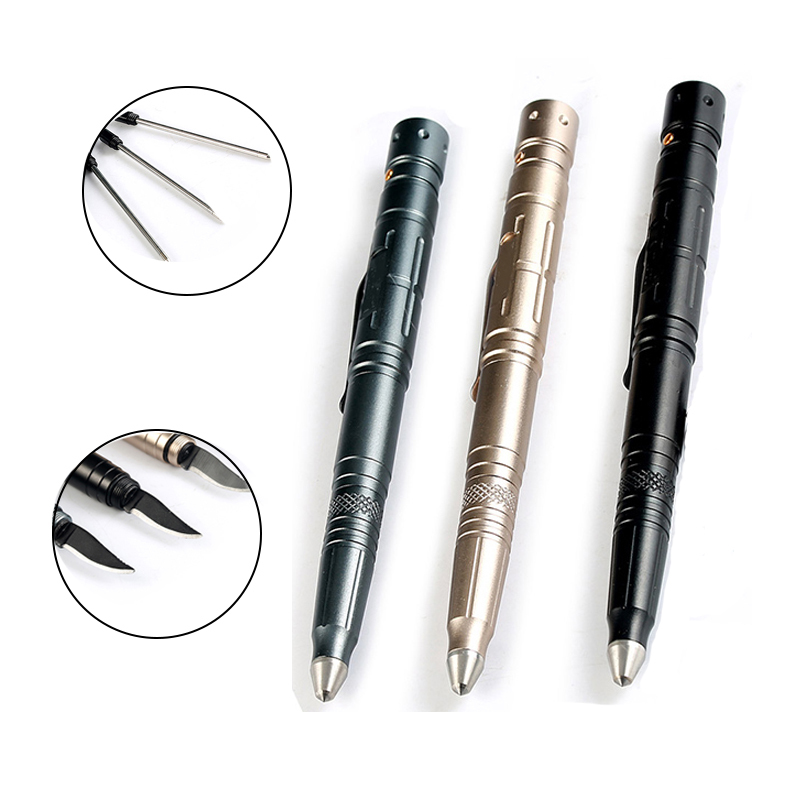 7.Adopt Tungsten steel head, sharp knife and embedded high-quality metal pen refill. 8.Can be used as self-defense and carving tool, glass breaker as well as writing . 9.Easy to carry and convenient to use. before you give me negative feedback. I will do my best to solve your problem. YOUR ENCOURAGEMENT IS MY GREATEST PURSUIT! value in order, we will follow your instruction accordingly. may vary, particularly during the holiday season. parcel within 3-7 days by tracking number on website. cause delivery delay, you can contact me to extend delivery protection time. We will do it as your request. 1.We promise send you high quality goods with high protective parcel. But it is a long travel to delivered, anything will happened during shipping. If you have any problem about your goods, please contact us at the first time, we will do our best to solve your problem. THX. 2. We accept return parcel without reason, but you should pay the shipping cost for return.